When writing, especially fiction, the subconscious has a tendency to play tricks on you. You have an idea that you wish to convey and you have created a setting that will help you in this endeavor. But once the story begins to take shape it is as if you are channeling a part of you that somehow functions independently from you. That is how I ended up with a love story where the male protagonist is Korean. What is surprising to me in this development is that I have no connection whatsoever to anything Korean. After wracking my brain, trying to figure out how my male protagonist could come to life in this way, I have begun to suspect that it could come from three Korean-American actors whose work I appreciate, namely Daniel Dae Kim, Steven Yeun and John Cho. 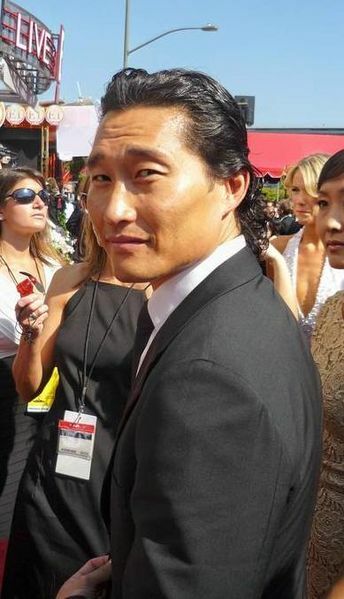 Daniel Dae Kim at 2008 Emmy Awards. I know Daniel Dae Kim (b.1968) mostly from his work on the TV-show Lost (2004-2010) where he played the Korean businessman Jin Kwon, who is married to Sun Kwon, played by Yunjin Kim. Throughout the seasons of Lost, Kim portrayed Jin Kwon in a great display of his skills as an actor. Unfortunately Kim has not been granted this opportunity to the same extent on the show where he currently can be seen, Hawaii 5-0, which in many ways is a show inferior to Lost. What Lost and Hawaii 5-0 do have in common is that in both shows Kim is a member of an ensemble cast led by Matthew Fox and Alex O’Loughlin, respectively. 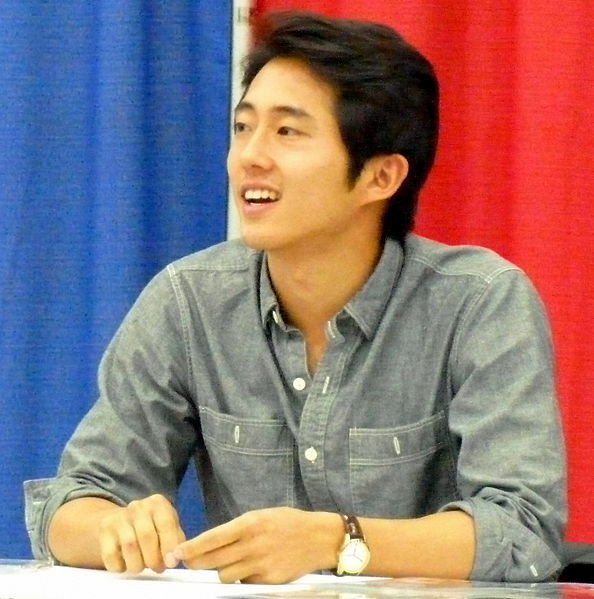 Steven Yeun (b. 1983) portrays one of my favorite characters in the on-going TV-series The Walking Dead, Glenn Rhee. Just as with Kim’s portrayal of Jin Kwon, Glenn’s story arch is a formidable one, where his relationship to Maggie Greene, played by Lauren Cohan, gives added depths to the character. Unfortunately, we don’t know that much about Glenn’s background. In Lost, the characters’ lives before the plane crash are shown through flashbacks. This narrative strategy is not implemented in The Walking Dead. After three action-packed seasons we still watch the zombie apocalypse through the eyes of the show’s lead character, Rick Grimes, played by Andrew Lincoln. John Cho (b. 1972) is probably best known for his work as Hikaru Sulu in the rebooted Star Trek franchise. I first became familiar with his work through the cult classic Harold and Kumar Go To White Castle (2004). Unlike the characters portrayed by Kim and Yeun, Cho’s character Harold Lee does not experience a dramatic story arc. That privilege is given to Kal Penn’s character Kumar, although most of this development takes place in the second movie, Harold and Kumar Escape from Guantanamo Bay (2008). What sets Harold Lee apart from Jin Kwon and Gleen Rhee, is that Harold is in fact a romantic leading man. Harold has a crush on Maria (played by Paula Garcés), who lives in the same building as him and Kumar, and in the end Harold actually gets the girl. In the documentary Bruce Lee: A Warrior’s Journey (2000) it is stated that after Bruce Lee (1940–1973) there has not been an Asian actor cast as a romantic leading man in a major motion picture. The same year as the documentary came out, one such film did hit the screens, namely Romeo Must Die starring Jet Li and Aaliyah (1979–2001). 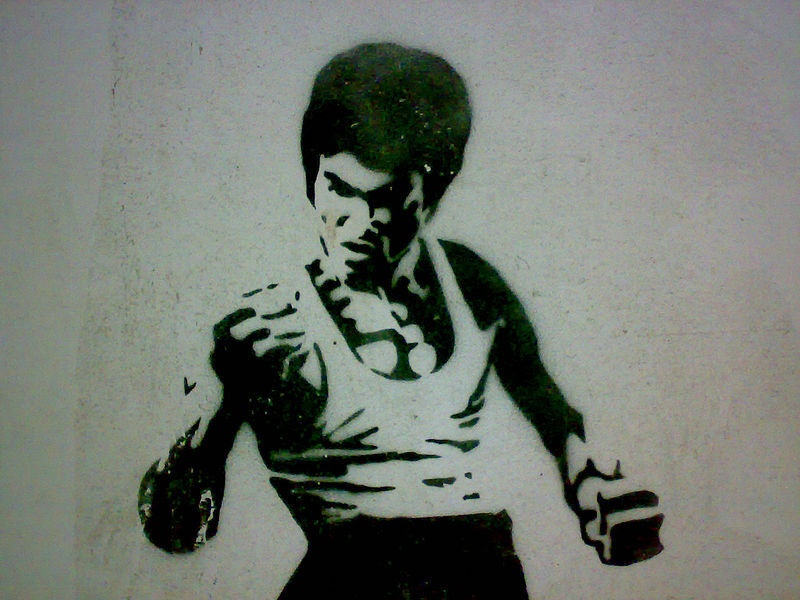 Therefore, the statement about Bruce Lee can be modified, but only slightly. Since Bruce Lee, there have been two Asian actors cast in romantic leading roles: Jet Li and John Cho. However, neither of these movies are what you can call mainstream. Romeo Must Die is a martial art movie where certain fight scenes are still branded into my brain, although I haven’t seen the film again since it came out. Harold and Kumar are more in the line of Cheech and Chong and Pineapple Express than anything else. If there are any other major motion pictures, or TV-shows for that matter, starring an Asian leading man in a romantic role, I would be interested to know. To my, admittedly limited, knowledge, there are only those I have discussed above. 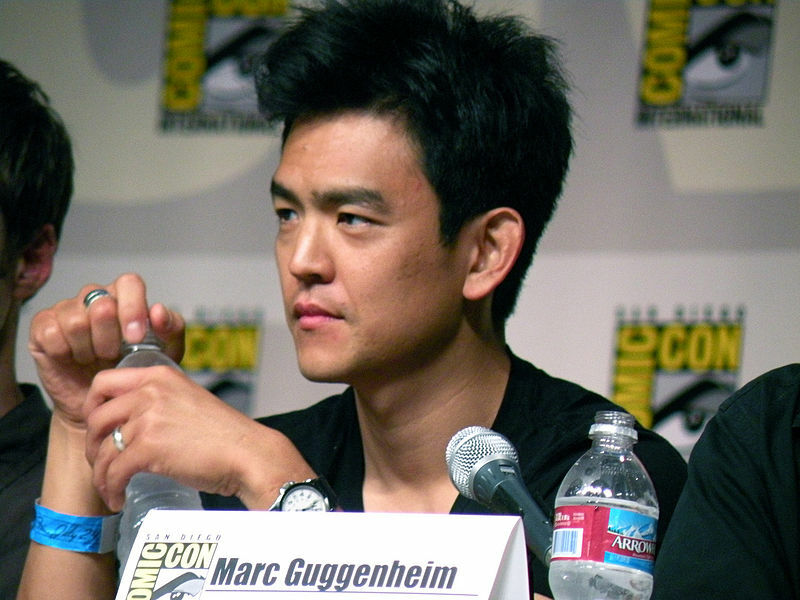 Images of Daniel Dae Kim, Steven Yeun, John Cho and Bruce Lee have been downloaded from Wikimedia Commons. Thank you, Sara Ellis Nilsson, for the tip. 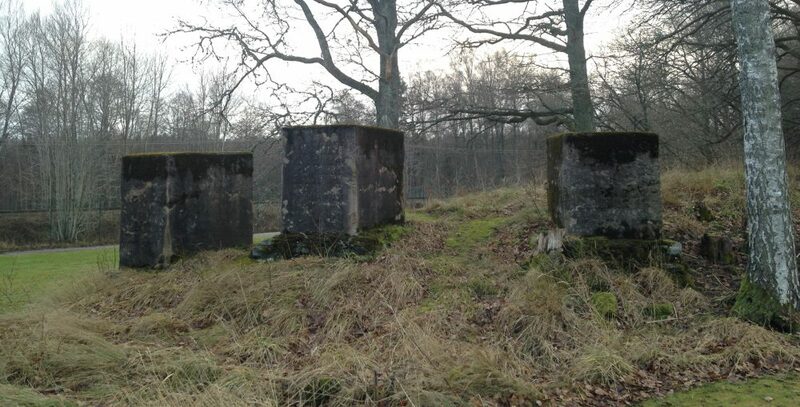 The views of the blog are not mine but they point towards the argument made in this post. Furthermore, I would like to clarify that when I talk about “major motion pictures” I am referring to mainstream films produced for an American audience. This entry was posted in Watching & Listening, Writing & Reading and tagged Asian-American, Bruce Lee, Daniel Dae Kim, Glenn Rhee, Harold & Kumar Go to White Castle, Harold and Kumar, John Cho, Korea, Korean-American, Lauren Cohan, Lost, race, Star Trek, Steven Yeun, The Walking Dead by Erika Harlitz-Kern. Bookmark the permalink.